InfiNet Solutions excels at helping organizations bring Office 365 tools online while assessing your needs for extensibility of the platforms and version controls. Upgrading to Office 365 offers a variety of benefits depending on the version that you select, such as access to cloud-based file storage with OneDrive and pricing that allows you to spread the cost instead of incurring a huge outlay of capital at once. Need to know which Office products your teams really need, and how you can get the most out of what you’ve got? 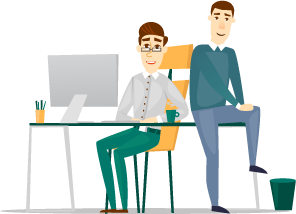 Our consulting team can provide you with the hands-on knowledge of the Office 365 software package – looking across your business processes to help eliminate redundancy and manual processes. Bringing on new staff, or simply want to give current staff a refresher on the platforms? 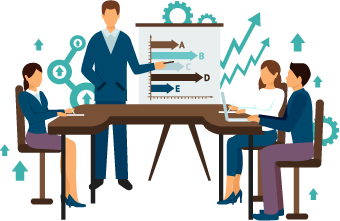 We can help with training both during and after your Office 365 implementation project, and we excel at coming alongside to determine needs to see where we should begin. 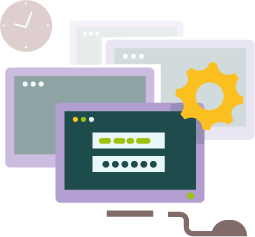 Whether you need remote or onsite training, we’re happy to support your team as they grow into the software platform and learn to maximize it for productivity. While Office 365 is a complete productivity suite of software, that doesn’t mean it should always stand completely alone! There are any number of ways to extend the functionality of Office 365 to support your business flow, and we can help map and define your needs – and then support your implementation and training process as well. Setting up the system and walking away is rarely the best option for consultants, and we understand that you will continue to have needs after your Office 365 implementation project is complete. InfiNet Solutions professionals can provide you with ongoing management and support of your platforms – letting you know about critical upgrades and even doing the upgrade for you remotely, and sharing any new best practices that come down the turnpike.